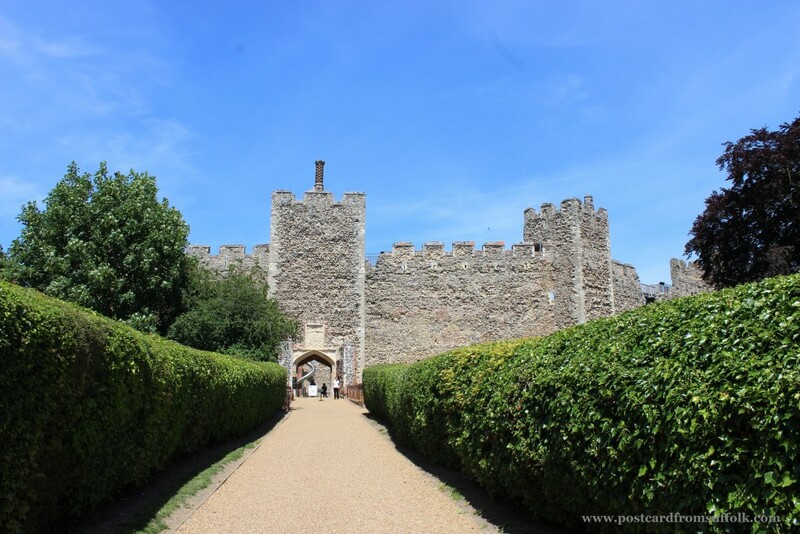 What can I tell you about Framlingham Castle? Well a sign of a great day out is when you’re still smiling as you remember it a couple of weeks later! 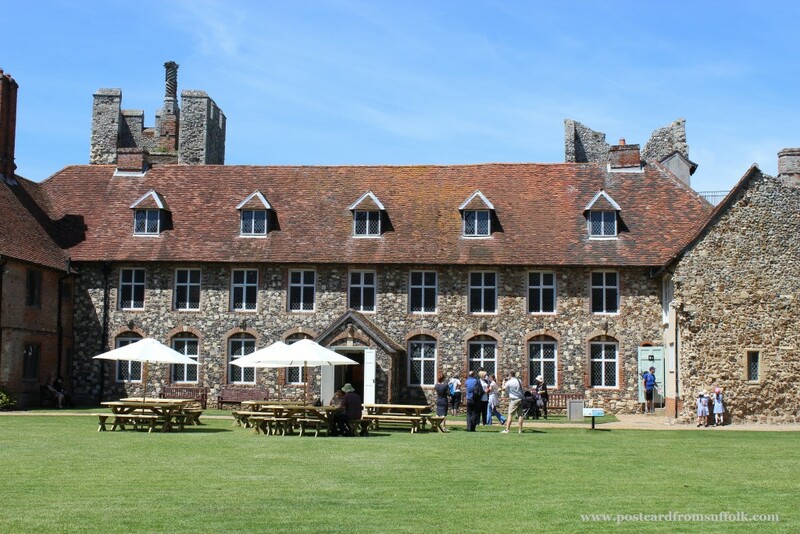 I recently had the opportunity to be one of the first people to visit the new and improved Framlingham Castle and yes you guessed it I’m still smiling about it! I’m very lucky to live near the castle and often walk or drive past it on my travels. As a local it really is an amazing sight when you catch a glimpse as you go about your normal routine! 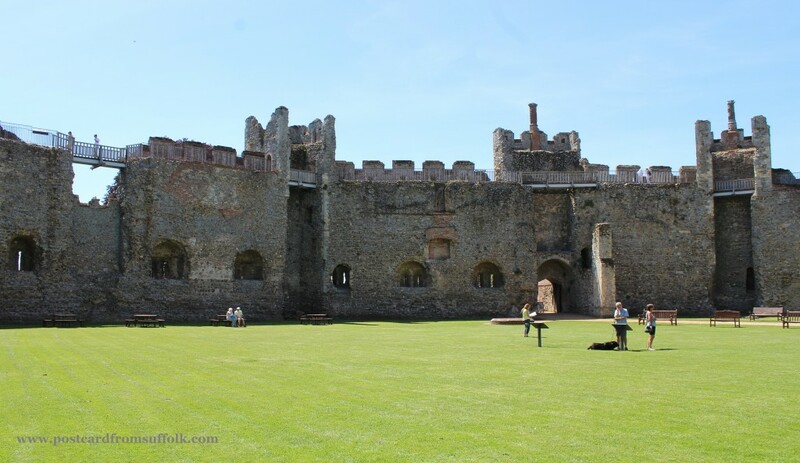 When I heard that Framlingham castle was to benefit from a £1.2M improvement project, I was really excited as I love visiting and as an English Heritage member I tend to go regularly. I did feel that it needed improving so was delighted when I heard what was planned. 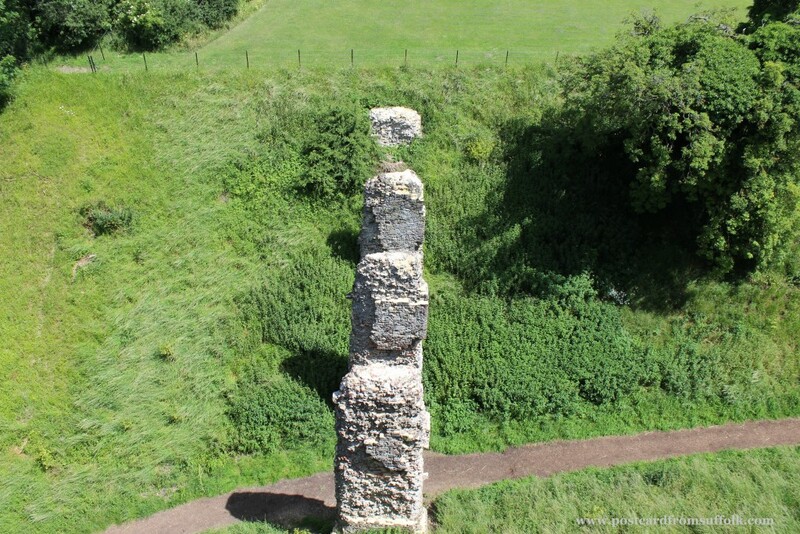 A 12th Century Castle, Framlingham has an interesting history as you can imagine. Its also great that it has recently been introduced to a whole new generation thanks to Ed Sheeran and his Castle on the Hill song, the lyrics many of us locals can identify with. 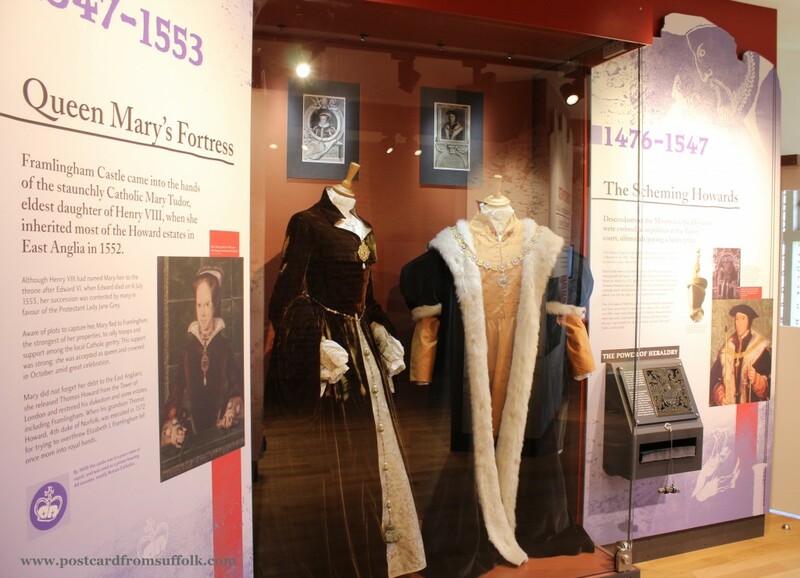 Fast forward from 800 years history to today and with phase one of the improvements complete, here’s a glimpse at what I got up to on my recent visit and what you can expect. 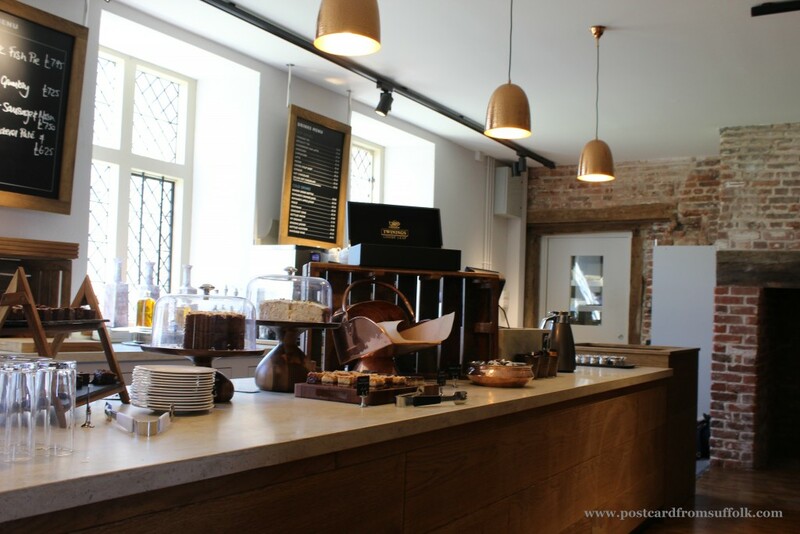 After a friendly welcome upon arrival, we were directed towards the new cafe for refreshments before our tour of the castle. It was a lovely space to sit and enjoy coffee and cake whilst we looked forward to finding out all about what had been taking place over recent months. I really loved the way the cafe was set out. You really felt you were having a coffee in a castle! The cafe serves all you would expect in a coffee shop and had a lovely choice of cakes too! 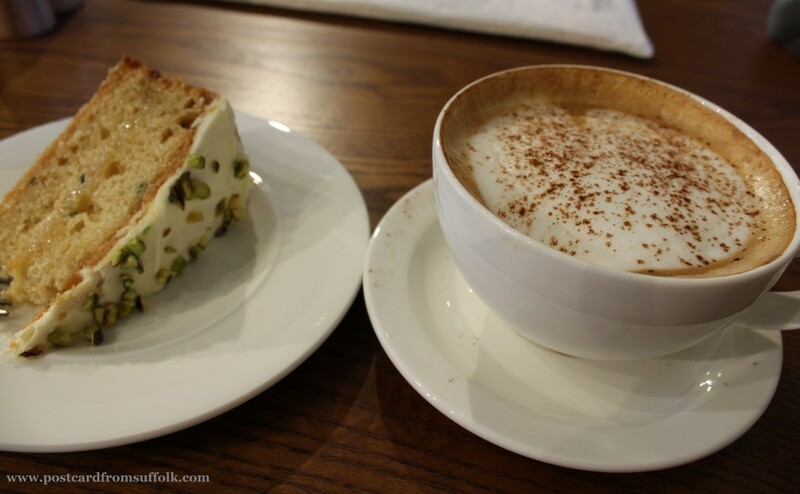 I can recommend the zucchini & lime cake & cappuccino! Our tour began with the interpretations manager who explained the rationale behind what they hoped to achieve with the improvements for the visitor experience at the castle. 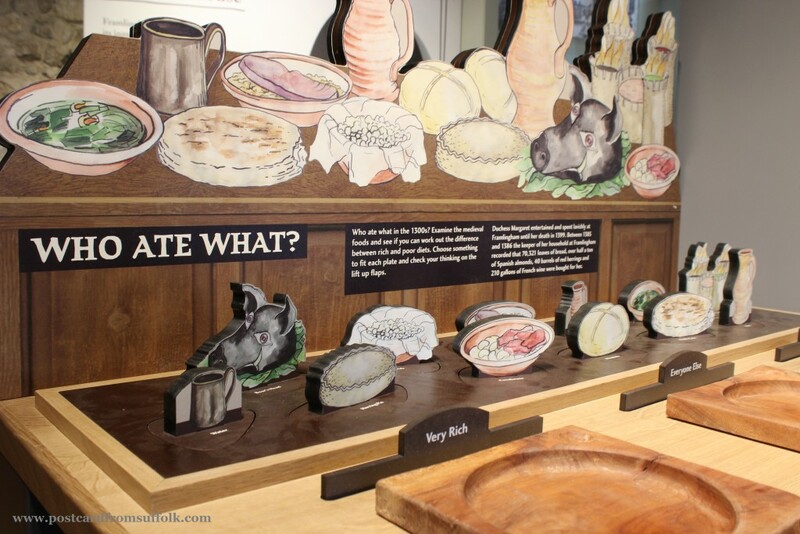 Having studied visitor attraction management as part of my tourism degree I found it really interesting. It was great hearing about the challenges of displaying exhibits within a listed building with low ceilings and 2 metre thick walls! The improvements which had been 2 years in the planning looked great. 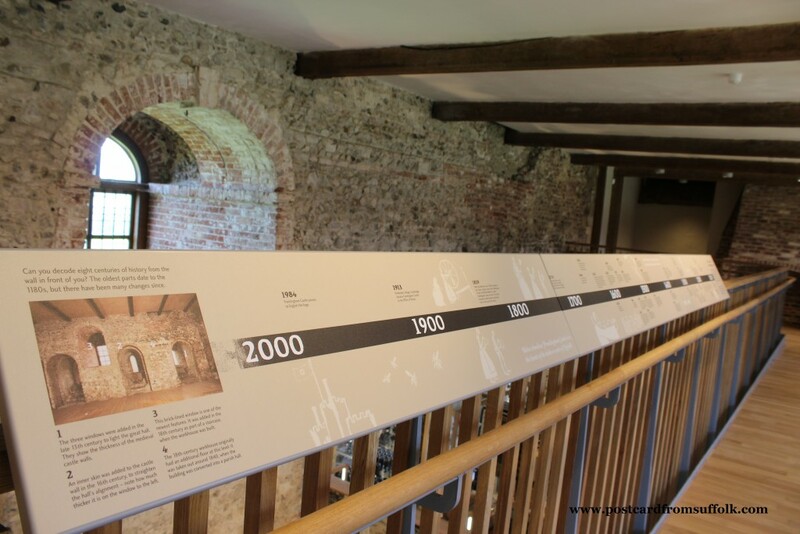 The way the history of the castle was displayed, in 4 different time periods was really effective, as too was the timeline. 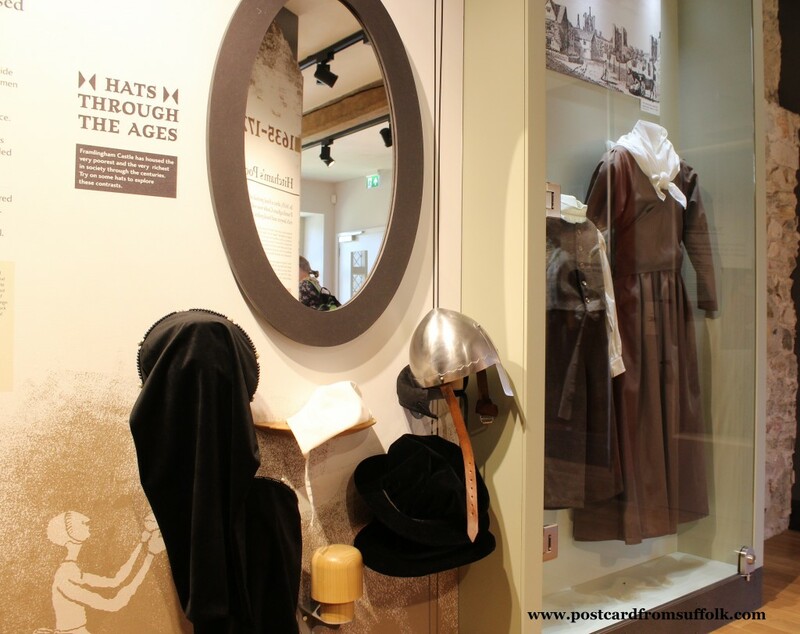 More interactive exhibits – yes I did try a hat on, thankfully nobody took a photo! After the tour of the new exhibition space we spent some time with the castle’s curator who did a marvellous job condensing the 800 years of history of the castle into half an hour! It was fascinating to hear all about the castle and I loved learning lots of new and interesting things like the pillars I always look at on my visits would have been a walkway to a castle garden. 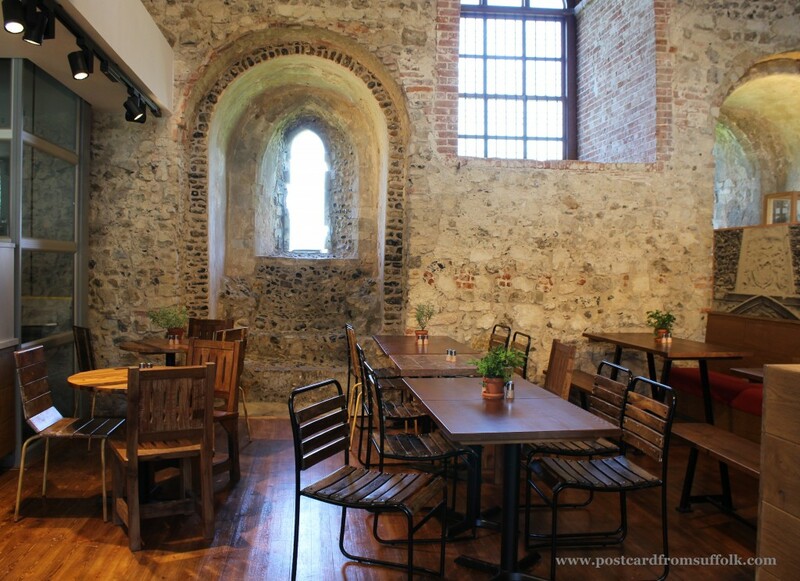 We then had time to explore the rest of the castle for ourselves and sample some of the food on the new cafe menu. 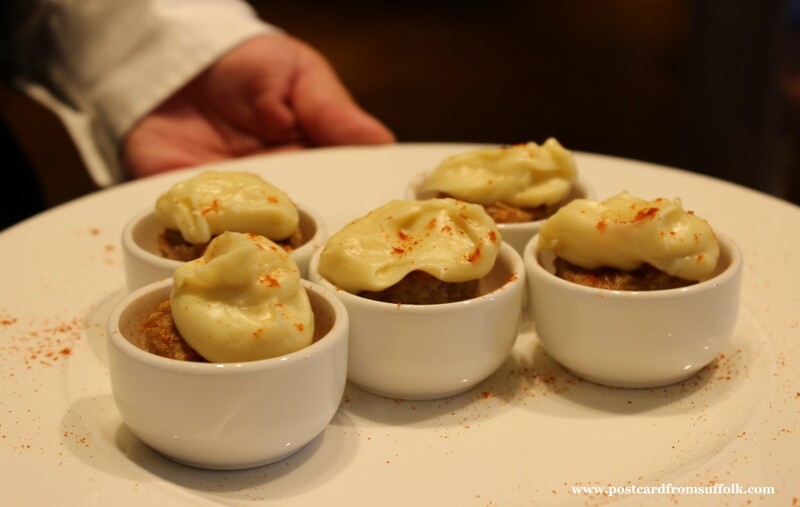 A choice of dishes were available for us to taste including Suffolk Grumbly (sausage meat with a mustard and cheese sauce), cheddar & leek tart, fish pie, Brie & vine tomato tart and a selection of baguettes. All of which I enjoyed and would have again on a future visit. After lunch and a further stroll around exploring the castle, I made my way to the time tunnel. 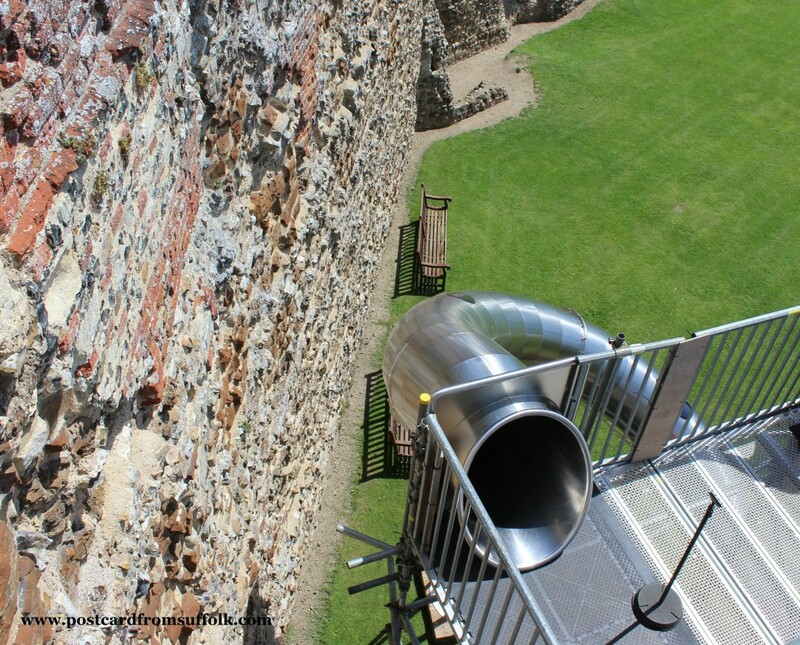 This is the temporary slide that was installed within the castle for visitors while the improvement works were being carried out. Probably not the most sensible thing having just eaten lunch, but yes I did have a go on the slide – well it would have been rude not to! I can honestly say its higher than it looks but was great fun and nobody seemed to mind that I screamed as I went down – I couldn’t help it! 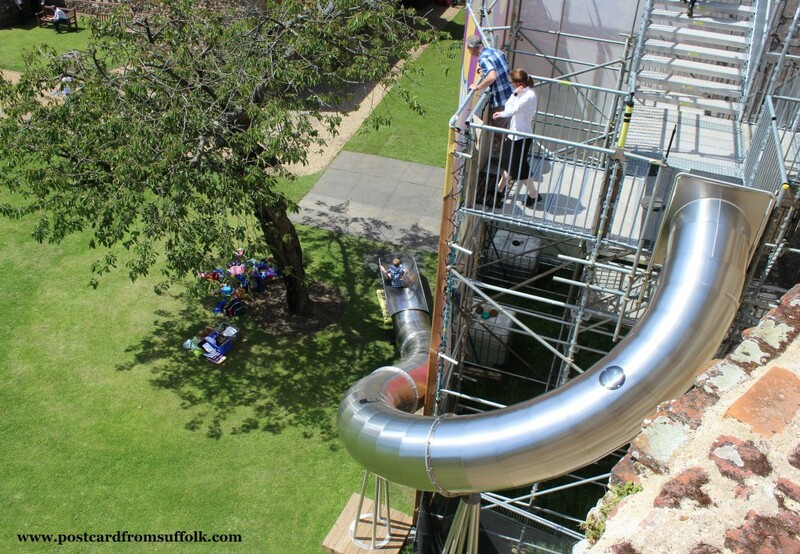 The great news is that the slide is staying until October (keeping my fingers crossed it becomes a permanent feature) so visit sooner rather than later if you fancy having a go! 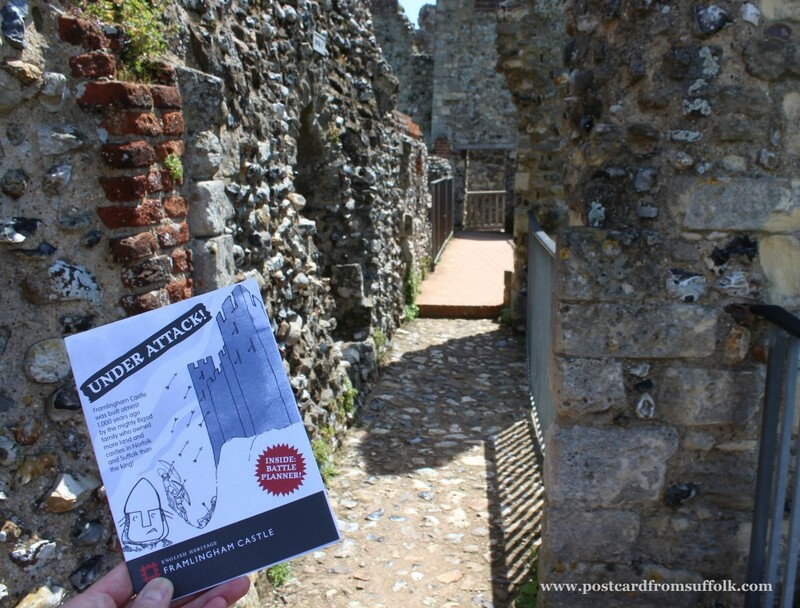 As it was a beautiful day, I took the advantage of going on the wall walk and took with me a great new booklet with activities and questions that you can complete on your journey. Its a brilliant way to find out lots of interesting things. I particularly like the section ‘Looking over the walls’ asking how many people you can see and are they enemies about to attack? See the photos below to find out what I saw…. 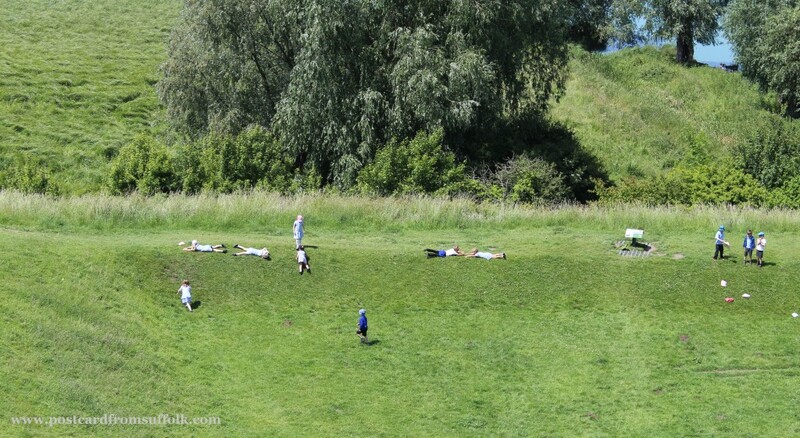 Children on a school trip having fun rolling down the hills outside the castle! All in all I had a thoroughly enjoyable day. It was really lovely to meet everyone at the castle and to hear first hand from the staff and volunteers at English Heritage about how the project had come together. It was also great to see all the other visitors enjoying the day too. I feel that the much needed improvements have made the castle more appealing to visitors and with the addition of a cafe, as well as the opportunity of taking your own picnic to eat in the wonderful grounds, you could easily spend most of the day there. My tour of the castle has also made me more interested in going to English Heritage member events which is something I haven’t really considered before. It really gives you the opportunity to see the attraction from a different perspective. There are lots of different events planned over the summer at the castle which is really exciting. Maybe I will see you there? 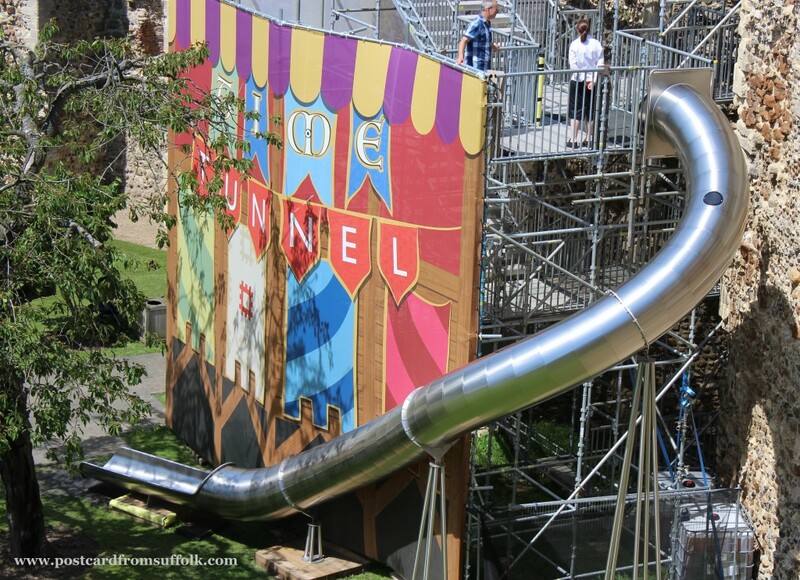 It will be easy to find me – I will be the one screaming as I go down the time tunnel slide! Please note: The slide was a temporary feature and is sadly no longer at the castle (Nov 2017).